SAN DIEGO, Jan. 17, 2018 /PRNewswire/ -- Peregrine Semiconductor Corporation today announces its corporate name change to pSemi™ Corporation, a Murata company focused on semiconductor integration. The name change coincides with two major milestones: the company's 30-year anniversary of RF-CMOS innovation and the shipment of its 4 billionth chip. pSemi will serve as Murata's semiconductor arm and is tasked with growing rapidly to support its expanding product portfolio and the hiring of engineers and professionals globally. pSemi Corporation is a Murata company driving semiconductor integration. pSemi builds on Peregrine Semiconductor’s 30-year legacy of technology advancements and strong IP portfolio but with a new mission to enhance Murata’s world-class capabilities with high-performance semiconductors. For three decades, the Peregrine name has been synonymous with semiconductor technology innovation. pSemi builds on that proud 30-year legacy. The new name is derived from Peregrine Semiconductor and reflects its proud 30-year history. pSemi will have the same experienced semiconductor team at the helm, but it will have a broader scope and an expanded product portfolio. Building on its strong foundation in RF integration, pSemi's product portfolio will span power management, connected sensors, optical transceivers, antenna tuning and RF frontends. "We've challenged the pSemi team to broaden their scope, increase their intellectual property (IP) portfolio and grow on a global scale to support more semiconductor innovations," says Norio Nakajima, senior executive vice president, module business unit at Murata. "As a Murata company, pSemi will leverage the breadth of Murata's manufacturing and technology leadership, while maintaining a level of autonomy that accelerates its path to semiconductor integration. pSemi will serve as the hub for Murata's semiconductor activities, and we are investing in its aggressive growth strategy to fuel our move into more advanced and intelligent modules." 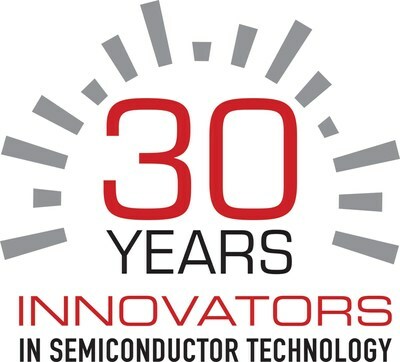 Under the new name, pSemi celebrates its 30-year anniversary of RF-CMOS semiconductor technology innovation and the shipment of its 4 billionth chip. The 4 billionth chip was shipped in an order to Samsung. In January 1988, the company's founders published a research paper that served as the foundation for Peregrine's UltraCMOS® technology platform. This paper was the first of many semiconductor technology innovations the company would build upon over its history. "As pSemi celebrates these significant milestones, we reflect on the company's history," says Stefan Wolff, CEO of pSemi. "Over a span of three decades, many industry firsts were achieved, such as CMOS switches, SOI power amplifiers and mmWave beamforming. Our patent portfolio continues to grow and is now ranked as one of the technology world's most valuable patent portfolios—and finally, we became a Murata company. The launch of pSemi is the next chapter in this company's history. I am grateful to Murata for selecting us for this important growth strategy, and I am honored to lead this incredible team forward. With pSemi, we are building the 'dream team' of engineers, and we need more talented people to join us." With the new name, pSemi also launches a new logo and company website. The name change is effective immediately and will be rolled out across new products. Legacy Peregrine Semiconductor products will remain branded under the Peregrine Semiconductor name and logo and will be supported by the same sales teams, distributors and applications engineers. If you are interested in joining the pSemi team, please send your resume to contact.us@psemi.com, or view the available positions on the pSemi jobs site. pSemi Corporation is a Murata company driving semiconductor integration. pSemi builds on Peregrine Semiconductor's 30-year legacy of technology advancements and strong IP portfolio but with a new mission—to enhance Murata's world-class capabilities with high-performance RF, analog, mixed-signal and optical solutions. With a strong foundation in RF integration, pSemi's product portfolio now spans power management, connected sensors, optical transceivers, antenna tuning and RF frontends. These intelligent and efficient semiconductors enable advanced modules for smartphones, base stations, personal computers, electric vehicles, data centers, IoT devices and healthcare. From headquarters in San Diego and offices around the world, pSemi's team explores new ways to make electronics for the connected world smaller, thinner, faster and better. To view pSemi's semiconductor advancements or to join the pSemi team, visit www.psemi.com.